Bonus Hunting – Does it Work? The Christmas season is upon us once again and how quickly this year has flown by! It’s a season for shopping, family, friends, and holidays. But so much more than this as well! 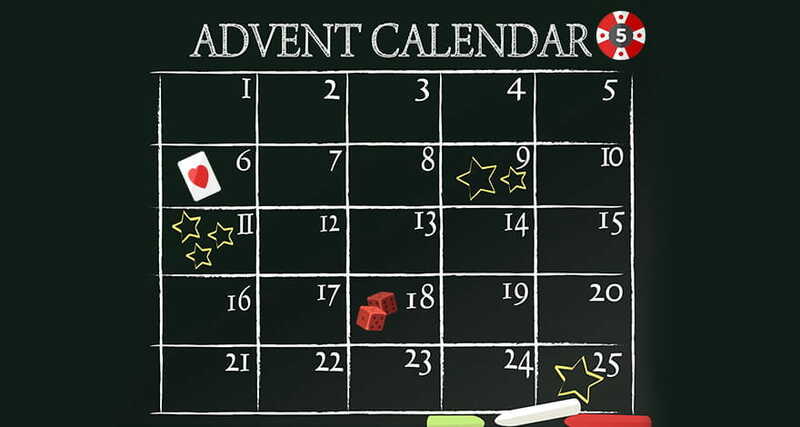 As a gambler or an online casino player, you’re probably starting to get into the Christmas vibes, too. Well, we have a surprise for you! We’ve selected some of the best bonuses out there for you to play at. Bonuses are one of a casino’s most prized offerings as they try to reel you in to play. Is the bonus attractive enough though? In our blog post here, you’ll find the top 10 online casino bonuses in the UK. Bonus hunting is definitely worth it, you know what to look out for. Number 10 on our list of top 10 online bonuses in the UK is Casino.com. This operator has a rating of 4.70 stars out of five and is our first contender for the Christmas bonus selection. Let’s see what this online operator has to offer. First, we look at the games. There is a total of 344 RNG games to choose from, 101 mobile games, and 43 live dealer games. This is an impressive total of games for you to enjoy. But let’s take our analysis one step further: the welcome bonus. Here you can get a match up bonus on up to £100 together with a whopping 200 free spins. Doesn’t this put you in the festive mood? NetBet is our ninth contender for the top post of bonuses you can enjoy. It also scores a nice 4.70 out of five stars rating on one of the best online casino sites in the world. This casino operator offers players a stunning variety of games with 617 RNG games to choose from. There are, in addition, 380 mobile games if you’d like to take your experience on the go with you, as well as 79 live dealer tables – should the live games be more up your alley. But let’s talk about the welcome bonus now. Here although you only get 10 free spins to play with, the match up bonus is double that of Casino.com with £200 to enjoy. Are you ready to play? Number eight on our list scores a lovely 4.70 out of five in terms of the world’s best rankings. This operator offers players 520 RNG games to choose from. The mobile games offering is extensive with 404 games to choose from. This means the desktop and mobile platform are almost compatible. In addition, there are 27 live dealer games for you to enjoy. Now, to get to the welcome bonus. Here, you can get a match up bonus of up to £998 to play with. This is an extremely generous offer and we strongly suggest that you give this operator a go! BetVictor is a popular name among the gambling network in the UK. This is because this operator has a reputation for providing high-quality services and a wonderful gaming experience. This is certainly evident from its 4.80 stars rating out of five. Let’s take a closer look at what games it has to offer. We kick off with the RNG games, of which there are 533 to choose from. This is no small feat, and neither is the fact that there are around 270 mobile games to choose from. The table games offering up to this point is beaten by just one game by NetBet casino, which offers 79, while BetVictor offers 78. As for the welcome bonus, you can enjoy a clean and crisp bonus of up to £50 to kick off the holiday season. BGO is our sixth contender in the top 10 list for bonuses. This casino has the same star rating as BetVictor at 4.80. However, its mobile offering and the welcome bonus are a bit more tempting. For instance, whereas BetVictor offers 270 mobile games to choose from, BGO offers 321. This means a comprehensive mobile gaming experience that you can take with you wherever you go. As for the RNG games, there are 565 in total, while there are 34 mobile games to play on. BGO offers a welcome bonus of up to £400 to its British casino players and in addition to this, it is throwing in 10 free spins for you to enjoy on selected slots. Grosvenor Casinos also have a really strong reputation for providing an amazing online gaming experience. This is why they are also rated 4.80 out of five on the world’s top casino ranking site. Starting with 276 RNG games, 250 mobile games and a whopping 61 live dealer tables, this casino operator is indeed one with a fantastic game offering. The welcome bonus is rather low in comparison to our other contenders, but the gaming experience as a whole is totally worth it. Now that we’re in the top five, you can bet your bottom dollar on the fact that we’ve found some excellent deals for you. Betway casino is no exception. With a 4.80 out of five rating, it is one of the best contenders out there for bonuses. Here, you’ll find 470 RNG games, 100 mobile games, and 50 live dealer tables. But that’s not all. The welcome bonus pack is in the value of £1000! Imagine all the spins you could make or all the games you could play on at this casino!?! Play OJO is our number three contender with a rating of 4.80 stars out of five. It is at number three because the number of RNG games offered stands at a whopping 960 with 500 mobile games and 82 live dealer tables. In addition to this, you get 50 free spins as part of the welcome bonus and one extra for every £1 you deposit! This is a nice match up for you to kick off the holidays with. Mansion Casino is our second-place contender. It scores a nice 4.83 out of five on the ratings and is truly a casino operator that is worth visiting. Here, you can get access to 294 RNG games, 161 mobile games, and 30 live dealer table games. But the welcome bonus is what we’re here for. Mansion is offering its players £500 and 10% cashback as a welcome bonus! You better grab this bonus as soon as you can! Finally, we reach our number-one contender – Casimba casino. This casino takes the gaming experience to a whole new level with a rating of 4.95 stars out of five. It offers 482 RNG games, a whopping 358 mobile games, and a lovely and extensive selection of 80 live dealer games. Casimba’s welcome bonus tops them all with £5000 in match up bonuses, and up to 50 free spins. This is essentially your queue to take advantage of this offering as soon as you can! As you can tell from our top 10 bonus selection above, there are many casinos out there which are going to make you a happy player this holiday season. Therefore, enjoy yourself and grab a quick bonus to start off your gaming experience. We know you won’t be disappointed with our selection and hope that you enjoy them! Just remember to read the terms and conditions related to the bonuses as more often than not, there are wagering requirements involved and this means you will need to play through your deposit and bonus amount a set number of times before you can consider withdrawing your winnings. Just a heads up! Otherwise, feel free to enjoy the welcome bonuses this festive season. You will not be disappointed!